G&D: Briefly describe the history of your firm and how you got started? DS: Donald Smith & Co. was founded in 1980 and now has $3.6 billion under management. Over 30 years since inception our compounded annualized return is 15.3%. 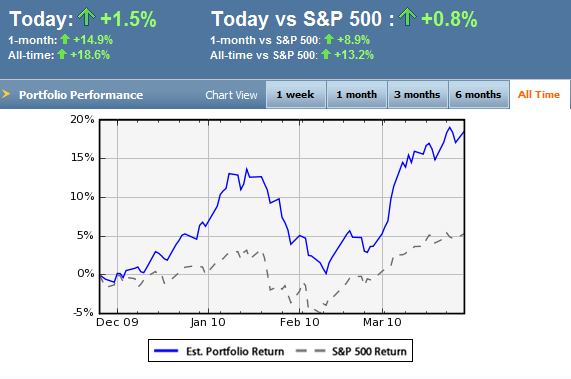 Over the last 10 years our annualized return is 12.1% versus −0.4% for the S&P 500. Our investment philosophy goes back to when I was going to UCLA Law School and Benjamin Graham was teaching in the UCLA Business School. In one of his lectures he discussed a Drexel	Firestone	study which analyzed the performance of a portfolio of the lowest P/E third of the Dow Jones (which was the beginning of ―Dogs of the Dow 30). Graham wanted to update that study but he didn‘t have access to a database in those days, so he asked for volunteers to manually calculate the data. I was curious about this whole approach so I decided to volunteer. There was no question that this approach beat the market. However, doing the analysis, especially by hand, you could see some of the flaws in the P/E based approach. Based on the system you would buy Chrysler every time the earnings boomed and it was selling at only a 5x P/E, but the next year or two they would go into a down cycle, the P/E would expand and you were forced to sell it. So in effect, you were often buying high and selling low. So it dawned on me that P/E and earnings were too volatile to base an investment philosophy on. 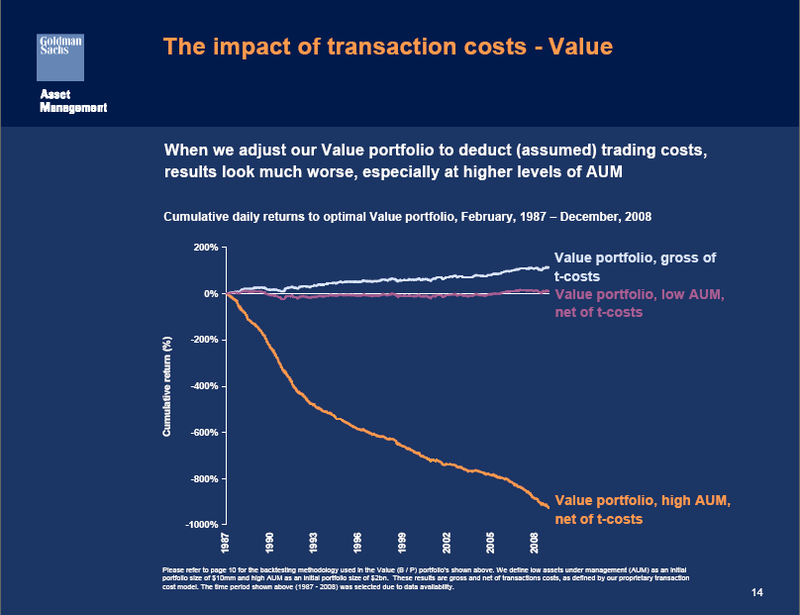 That‘s why I started playing with book value to develop a better investment approach based on a more stable metric. G&D: There are plenty of studies suggesting that the lowest price to book stocks outperform. However, only 1/10 of 1% of all money managers focus on the lowest decile of price to book stocks. Why do you think that‘s so, and how do people ignore all of this evidence? DS: They haven‘t totally ignored it. 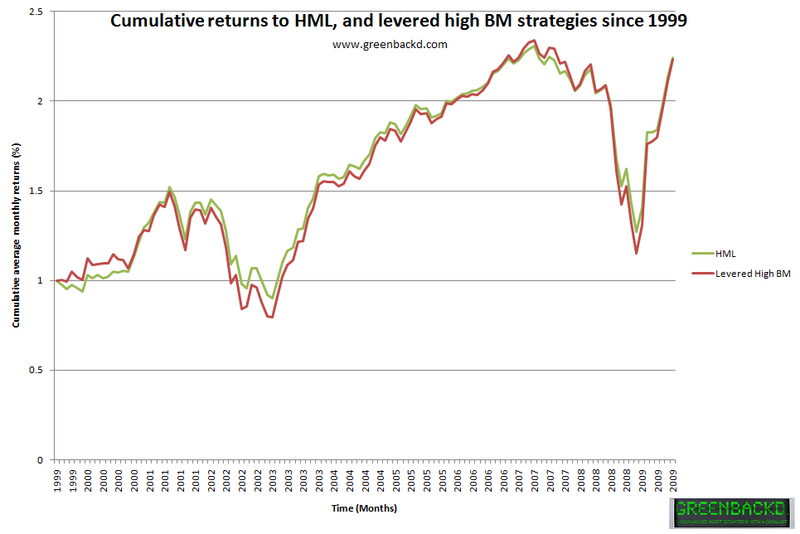 There are periods of time when quant funds, in particular, use this strategy. 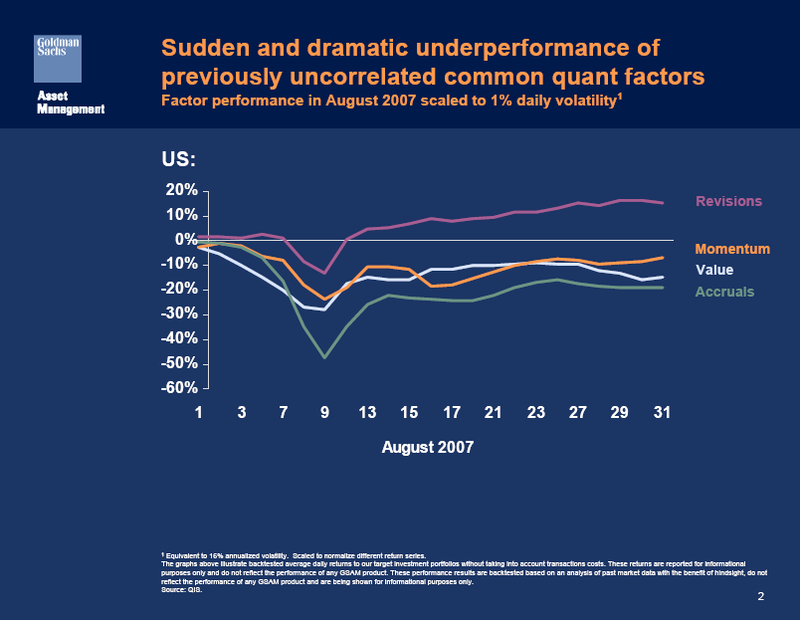 However a lot of the purely quant funds buying low price to book stocks have blown up, as was the case in the summer of 2007. Now not as many funds are using the approach. 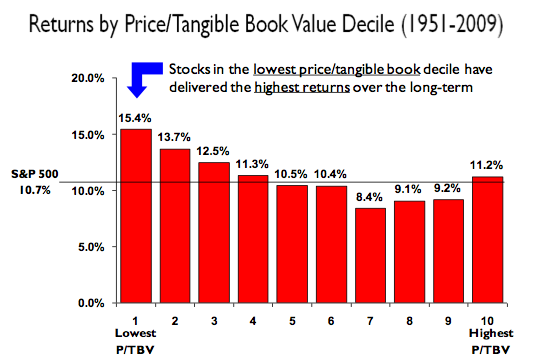 Low price to book stocks tend to be out-of-favor companies. Often their earnings are really depressed, and when earnings are going down and stock prices are going down, it‘s a tough sell. G&D: Would you mind talking about how the composition of that bottom decile has changed over time? Is it typically composed of firms in particular out of favor industries or companies dealing with specific issues unique to them? DS: The bulk is companies with specific issues unique to them, but often there is a sector theme. Back in the early 1980‘s small stocks were all the rage and big slow-growing	companies were very depressed. At that time we loaded up on a lot of these large companies. Then the KKR‘s of the world started buying them because of their stable cash flow and the stocks went up. 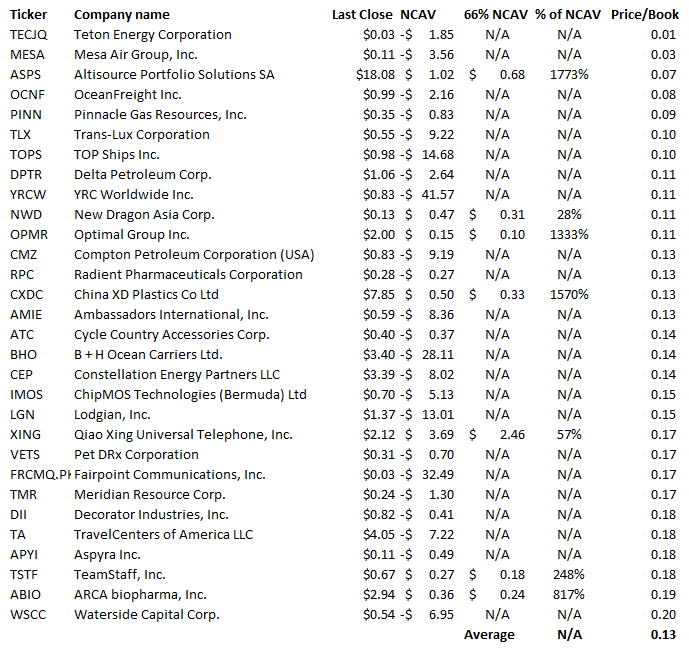 About six years ago, a lot of the energy-related stocks were very cheap. We owned oil shipping, oil services and coal companies trading below book and liquidation value. When oil went up they became the darlings of Wall Street. Over the years we have consistently owned electric utilities because there always seem to be stocks that are temporarily depressed because of a bad rate decision by the public service commission. Also, cyclicals have been a staple for us over the years because, by definition, they go up and down a lot which gives us buying	opportunities. We‘ve been in and out of the hotel group, homebuilders, airlines, and tech stocks. Read the Graham and Doddsville newsletter Fall 2010 (.pdf). In a post in late November last year, Testing the performance of price-to-book value, I set up a hypothetical equally-weighted portfolio of the cheapest price-to-book stocks with a positive P/E ratio discovered using the Google Screener, which I called the “Greenbackd Contrarian Value Portfolio“. The portfolio has been operating for a little over 4 months, so I thought I’d check in and see how it’s going. As I’ve discussed in the past, P/B and P/E are demonstratively useful as predictors of future stock returns, and more so when combined (see, for example, LSV’s Two-Dimensional Classifications). As Josef Lakonishok, Andrei Shleifer, and Robert Vishny showed in Contrarian Investment, Extrapolation, and Risk, within the set of firms whose B/M ratios are the highest (in other words, the lowest price-to-book value), further sorting on the basis of another value variable – whether it be C/P, E/P or low GS – enhances returns. 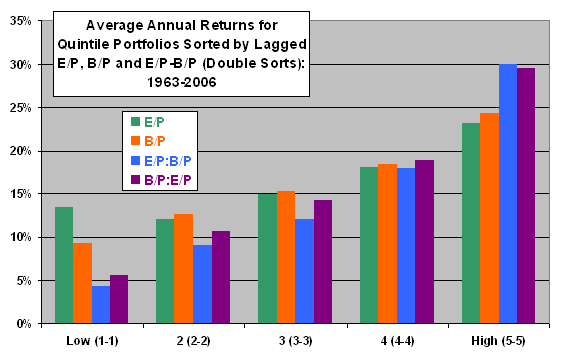 In that paper, LSV concluded that value strategies based jointly on past performance and expected future performance produce higher returns than “more ad hoc strategies such as that based exclusively on the B/M ratio.” A new paper further discusses the relationship between E/P and B/P from an accounting perspective, and the degree to which E/P and B/P together predict stock returns. This paper brings an accounting perspective to the issue: earnings and book values are accounting numbers so, if the two ratios indicate risk and return, it might have something to do with accounting principles for measuring earnings and book value. Indeed, an accounting principle connects earnings and book value to risk: under uncertainty, accounting defers the recognition of earnings until the uncertainty has largely been resolved. The deferral of earnings to the future reduces book value, reduces short-term earnings relative to book value, and increases expected long-term earnings growth. E/P predicts stock returns, consistent with the idea that it measures risk to short-term earnings. B/P predicts stock returns, consistent with the idea that it measures accounting deferral of risky earnings and therefore risk to both short-term and long-term earnings. This perspective disrupts the traditional value-growth paradigm by associating expected earnings growth with high B/P. For a given E/P, B/P therefore predicts incremental return associated with expected earnings growth. A joint sort on E/P and B/P discovers this incremental return and therefore generates higher returns than a sort on E/P alone, attributable to additional risk (see the chart below). Results are somewhat stronger for the 1963-1984 subperiod than for the 1985-2006 subperiod. Results using consensus analyst forecasts rather than lagged earnings to calculate E/P over the 1977-2006 subperiod are similar, but not as strong. “E/P” sorts on lagged earnings yield. “B/P” sorts on lagged book-to-price ratio. “E/P:B/P” sorts first on E/P and then sorts each E/P quintile on B/P. Reported returns are for the nth B/P quintile within the nth E/P quintile (n-n). “B/P:E/P” sorts first on B/P and then sorts each B/P quintile on E/P. Reported returns are for the nth E/P quintile within the nth B/P quintile (n-n). Start dates for return calculations are three months after fiscal year ends (when annual financial reports should be available). The holding period is 12 months. Results show that double sorts generally enhance performance discrimination among stocks. E/P measures risk to short-term earnings and therefore short-term earnings growth. B/P measures risk to short-term earnings and earnings growth and therefore incremental earnings growth. The incremental return for B/P is most striking in low E/P quintile. Research (in Fama and French 1992, for example) shows that book-to-price (B/P) also predicts stock returns, so consistently so that Fama and French (1993 and 1996) have built an asset pricing model based on the observation. The same discussion of rational pricing versus market inefficiency ensues but, despite extensive modeling (and numerous conjectures), the phenomenon remains a mystery. The mystery deepens when it is said that B/P is inversely related to earnings growth while positively related to returns; low B/P stocks (referred to as “growth” stocks) yield lower returns than high B/P stocks (“value” stocks). Yet investment professionals typically think of growth as risky, requiring higher returns, consistent with the risk-return notion that one cannot buy more earnings (growth) without additional risk. The paper adds further weight to the predictive ability of low price-to-book value and low price-to-earnings ratios. Its conclusion that book-to-price indicates expected returns associated with expected earnings growth is particularly interesting, and accords with the same findings in Werner F.M. DeBondt and Richard H. Thaler in Further Evidence on Investor Overreaction and Stock Market Seasonality. I’m setting up a new experiment for 2009/2010 along the same lines as the 2008/2009 Net Net vs Activist Legend thought experiment pitting a little Graham net net against activist investing legend Carl Icahn (Net Net vs Activist Legend: And the winner is…). This time around I’m pitting a small portfolio of near Graham net nets against a small portfolio of ultra-low price-to-book value stocks. The reason? 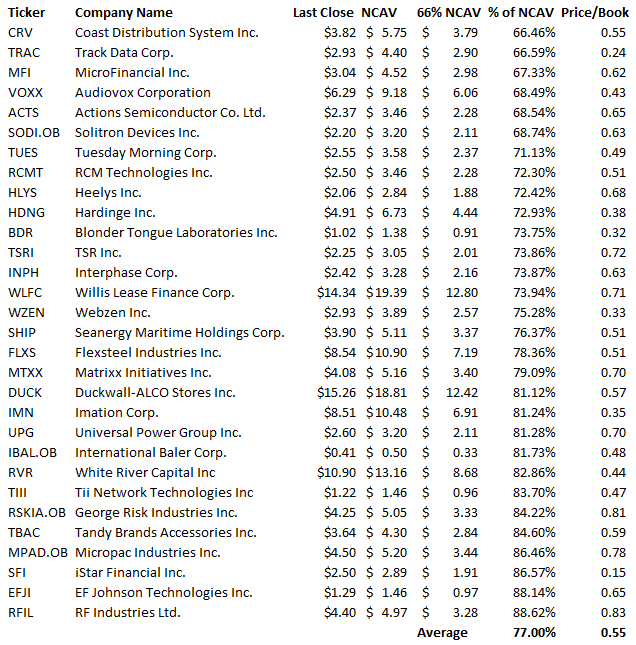 Near Graham net nets are stocks trading at a small premium to Graham’s two-thirds NCAV cut-off, but still trading at a discount to NCAV. While they are also obviously trading at a discount to book, they will in many cases trade at a higher price-to-book value ratio than a portfolio of stocks selected on the basis of price-to-book only. I’m interested to see which will perform better in 2010. 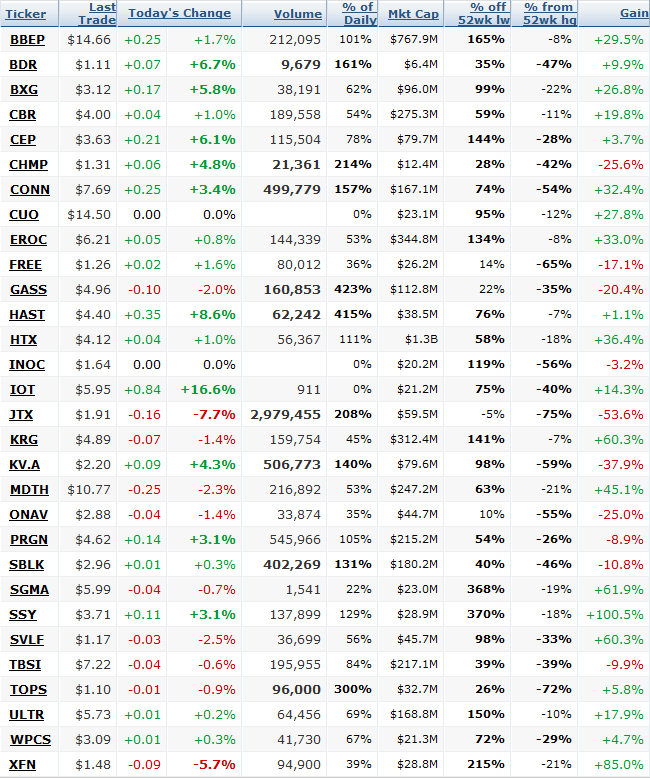 The two portfolios are set out below (each contains 30 stocks). I’ll track the equal-weighted returns of each through the year. 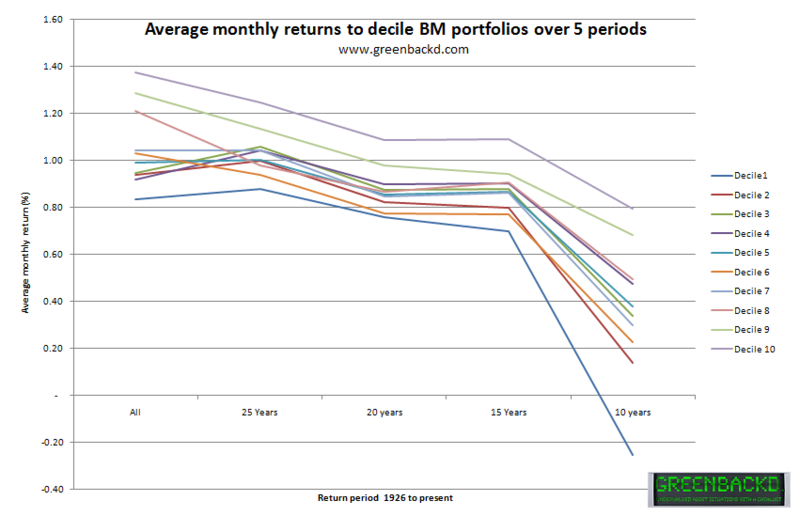 The Ultra-low Price-to-book Portfolio contains a sickly lot from a net current asset value perspective. Most have a negative net current asset value, as their liabilities exceed their current assets. Where that occurs, the proportion of price to NCAV is meaningless, so I’ve just recorded it as “N/A”. The few stocks that do have a positive net current asset value are generally trading a substantial premium to that value, with the exception of NWD and ZING, which qualify as Graham net nets. This experiment is similar to the Net Net vs Activist Legend thought experiment in that it isn’t statistically significant. There are, however, several studies relevant to divining the outcome. 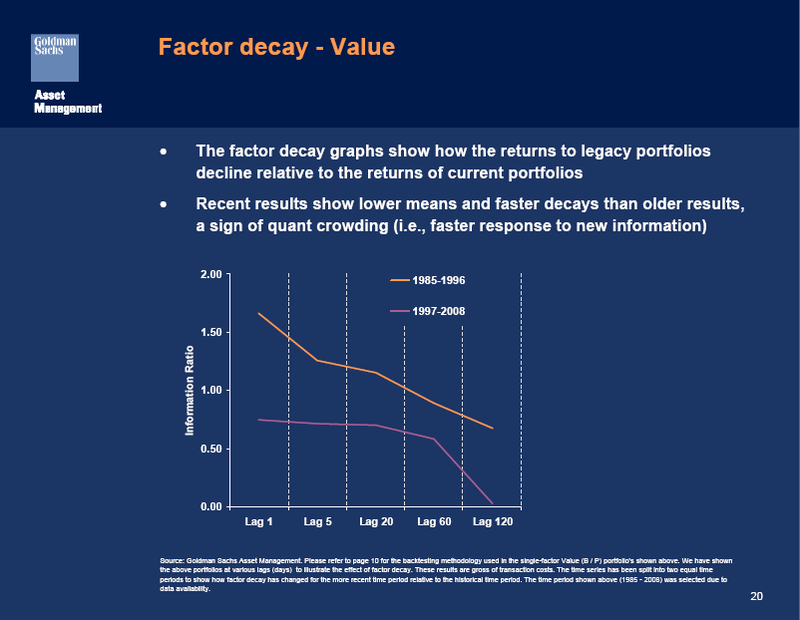 In this instance, Professor Oppenheimer’s study speaks to the return on the Near Graham Net Net Portfolio, as Roger Ibbotson’s Decile Portfolios of the New York Stock Exchange, 1967 – 1984 (1986), Werner F.M. DeBondt and Richard H. Thaler’s Further Evidence on Investor Overreaction and Stock Market Seasonality (1987), Josef Lakonishok, Andrei Shleifer, and Robert Vishny’s Contrarian Investment, Extrapolation and Risk (1994) as updated by The Brandes Institute’s Value vs Glamour: A Global Phenomenon (2008) speak to the return on the Ultra-low Price-to-book Portfolio. One wrinkle in that theory is that the low price-to-book value studies only examine the cheapest quintile and decile, where I have taken the cheapest 30 stocks on the Google Finance screener, which is the cheapest decile of the cheapest decile. I expect these stocks to do better than the low price-to-book studies would suggest. That said, I expect that the Near Graham Net Net Portfolio will outperform the Ultra-low Price-to-book Portfolio by a small margin. Let me know which horse you’re getting on and the reason in the comments. 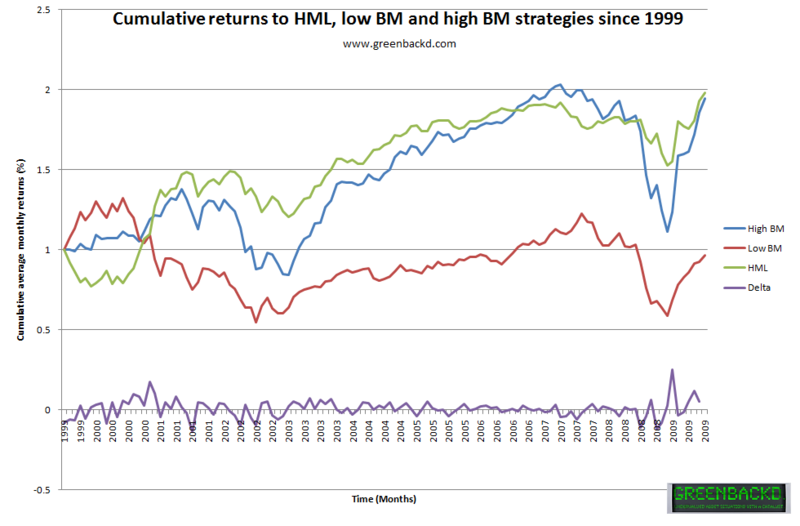 In Contrarian Investment, Extrapolation, and Risk, Josef Lakonishok, Andrei Shleifer, and Robert Vishny argued that value strategies produce superior returns because most investors don’t fully appreciate the phenomenon of mean reversion, which leads them to extrapolate past performance too far into the future. Value strategies “exploit the suboptimal behavior of the typical investor” by behaving in a contrarian manner: selling stocks with high past growth as well as high expected future growth and buying stocks with low past growth and as well as low expected future growth. 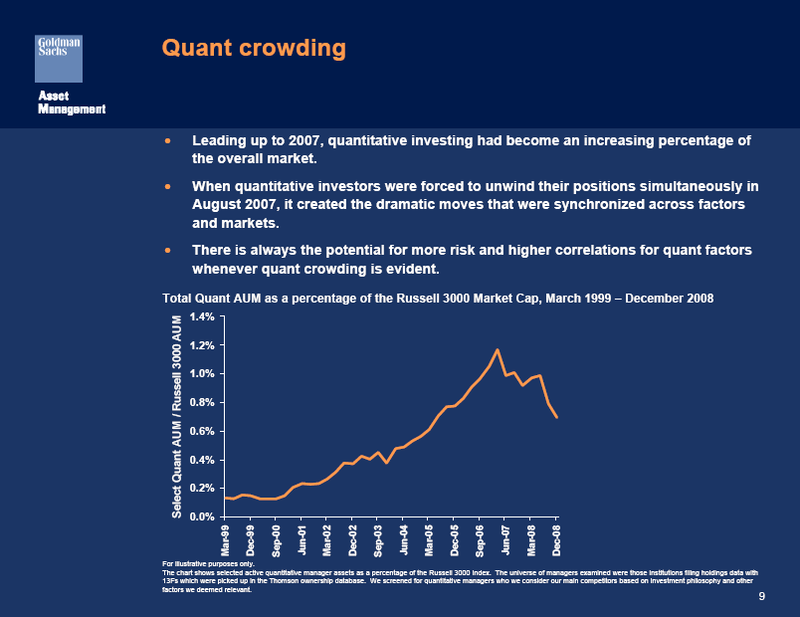 It makes sense that crowding would reduce the returns to a contrarian strategy. 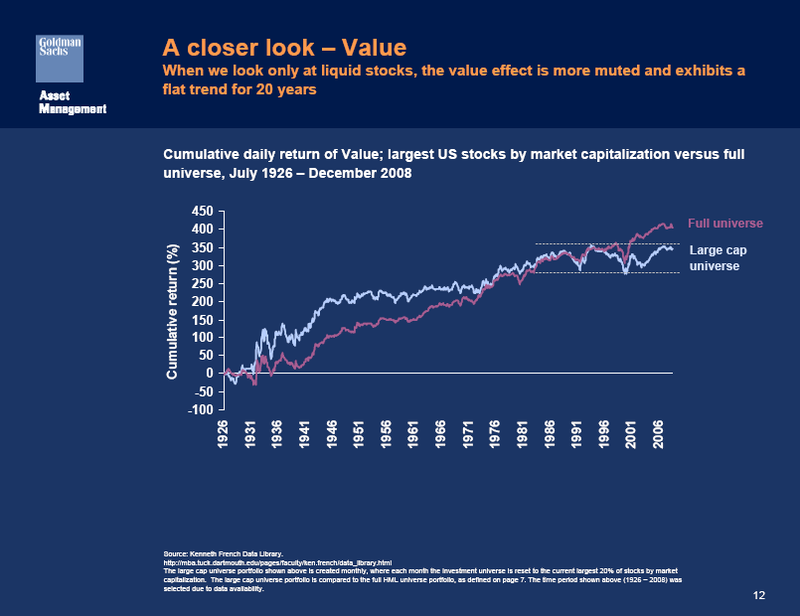 Lending further credence to Litterman and Goldman’s argument is the fact that the underperformance seems to be most pronounced in the large capitalization universe (see the “A closer look – value” slide) where the larger investors must fish. If you’re not forced by the size of your portfolio to invest in that universe it certainly makes sense to invest where contrarian returns are still available. Further, if you’re not as sanguine about the markets and the economy as our dear leaders seem to be, special situations like liquidations and event-driven investments like activist campaigns offer a place to hide if (and when) the market resumes the long bear.